Where Have You Gone, Johnny Grubb? : Kinsler Tigers' 2B Now, But For HOW Long? Ernie Banks. Pete Rose. Rod Carew. Robin Yount. Paul Molitor. The common thread may seem obvious---they're all Hall of Fame worthy players. But there's something else that ties them together, and it's something that may end up being very relevant to your Detroit Tigers. Each of them, from Banks to Molitor, started as a middle infielder. And each of them would abandon that position and move to other places on the diamond and further their Hall-worthy careers. What does this have to do with the Tigers? Let's just say that you might not want to get too comfortable with the idea of a double play combination of shortstop Jose Iglesias and second baseman Ian Kinsler, acquired last week from the Texas Rangers for Prince Fielder. Kinsler is 31 years old. Already there are signs that age could be rearing its head with Kinsler, at least in the form of stolen base output. Age and middle infielders are usually not a good mix, Omar Vizquel notwithstanding. The Tigers may have---emphasis on "may have"---traded for Kinsler with the idea that he could move elsewhere, such as the outfield, or first base. Banks broke into the big leagues with the Chicago Cubs in 1953 as a shortstop. By 1962, his tenth season, the Cubs had moved the 31-year-old Banks to first base, where he pretty much played the rest of his career, past his 40th birthday. Banks played 1,259 games at 1B, and 1,125 at SS. Rose was a rookie in 1963, age 22. He debuted as a second baseman for the Cincinnati Reds. By 1967, at age 26, the Reds shifted Rose to the outfield. He would spend the next 10-12 years moving all around the diamond, eventually settling at first base. Rose played 24 years, but only 628 games at 2B, his so-called "natural" position. Carew broke in with the Minnesota Twins as a 21-year-old second baseman in 1967. In 1976, at age 30, Carew was playing first base, and he never looked back. Yount was an 18-year-old rookie with the Milwaukee Brewers in 1974, arriving on the scene as a shortstop. But by 1985, before his 30th birthday, the Brewers moved Yount to the outfield. Molitor was 21 years old when he broke into the bigs with the Brewers as a second baseman in 1978, functioning as Yount's double play partner. A mere three years later, the Brewers moved Molitor---first to the outfield, then in 1982 to third base, which would be his position until 1990, when Molitor became mostly a designated hitter for the last nine years of his illustrious career. It would be a big shock, to me, if the Tigers see Kinsler as their everyday second baseman much beyond 2016. By that time, Kinsler would be 34 years old. Ah, but what about the greatest DP combo in history, you might ask---our own Alan Trammell and Lou Whitaker? It's more than fair to bring them up. Tram and Lou never budged from their original positions, though the former did spend a handful of games in the outfield, at second base and at third base. 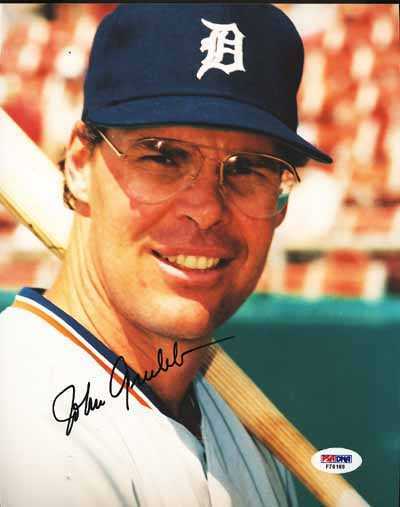 Trammell played until age 38. Whitaker never played anything other than second base in a career that spanned from 1977 to 1995 (also age 38). But let's face it: Trammell and Whitaker are anything but the norm---in so many different ways. The good news is that, as we have seen, switching positions for the aforementioned Hall of Famers took nothing away from their offense. And their move from the middle infield came relatively early in their respective careers---all within the first 10 years. Kinsler is entering his ninth season, and he's played all but two innings in his defensive career at second base (the other two innings were at third base, in 2012)---over 1,000 games as a second baseman. He's ripe for a position change. It could be that Dave Dombrowski traded for Kinsler with an eye toward having Kinsler wear another type of glove. It could be that second base may be the territory of Hernan Perez before long. Kinsler may find himself at first base, and Miguel Cabrera could be a full-time DH. Or Kinsler could move to the outfield, a la Yount. 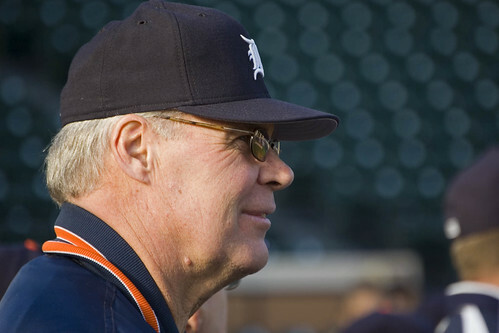 Yes, this was a short term move, acquiring Kinsler, in that the Tigers are in "win now" mode. But while Kinsler may be an old-ish second baseman, the Tigers could flip him into a young-ish outfielder or first baseman.